The following London personal trainers are found from our directory. These personal trainers can be hired / asked questions about their rates, services etc through our form below. Personal training is an excellent way to motivate, excel and reach your fitness goals towards a new you. Kimberley Inniss BSc., Certified Personal Trainer and Nutritional & Wellness Specialist, Wellness Consultant weight/fat loss, women varies Bosu Balance trainer, balance pods, gliders, therabands, ankle weights London and surrounding area. energize wellness! is a wholistic personal training, nutritional coaching and wellness consulting company located in London Ontario. we provide wholistic wellness packages consisting of personal training, nutrition and positive lifestyle coaching, one on one support, and behaviour modification instruction to individuals seeking to bring health, wellness and balance into their busy lives. our programs are unique in that we focus on your busy life by taking a convenient online approach to monitoring, and support followed up by regular face to face consultations in the comfort of your own home, office, gym or at our location. 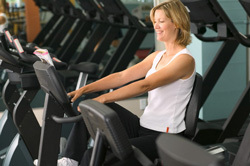 all programs are specifically designed based on a complete lifestyle assessment. we focus on the smallest details to get you to your health destination! become the person you deserve to be: HEALTHY! FIT! ENERGIZED! Are you wanting to lose that stubborn body fat? Are you frustrated and overwhelmed by all the information out there? Or perhaps you're at a point where you know what you need to do but you're just not following through with it. London's first choice for in home personal training services. We've been helping people look great since 98'. Not looking for a trainer but in need of a push? and find out what our clients have had to say. I provide in home and in studio personal training. I spercialize in weightloss, sport specific training in triathlon, hockey, football, and Mixed Martial Arts. I have an in home studio with all the equipment necessary to get you in great shape. I have 20 years experience as a Fitness Professional to offer you. I've completed 2 years of the Bachelor of Human Kinetics degree program at the University of Windsor and I continue to educate my self regularly. When you train with me, we work as a team towards achieving your goals. 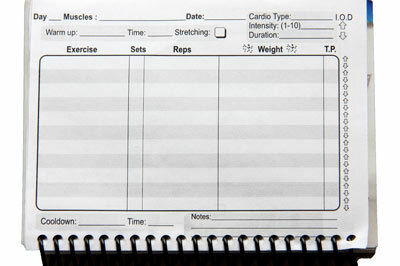 We'll work out of your complimentary professional Personal Training Journal, and you'll always have a record of all of your fitness testing, progress and programs to keep with you for the rest of your life. I don't believe in getting fit for a short period of time and then going back to how you were before you started training. I believe in "fitness for life" and I'll teach you everything you need to know to achieve it and maintain it for life. As your own Personal Trainer, I'm working for you to help you reach your goals; and I offer a 100% MONEY-BACK GUARANTEE that you will reach them. Located within walking distance of the downtown core with plenty of free parking, Synergy Wellness is London Ontario's finest personal training and consulting studio. Synergy offers an unparalleled whole body approach to health and fitness, specializing in body sculpting, weight loss, functional strength, sports performance, postural correction, rehabilitation, whole food nutrition and organic living. Let our testimonials speak for our services. Experience Synergy and truly understand what it means to feel as good as you look! Lifestyle Packages: *No equipment is needed. Your London personal trainer will provide everything you need to pursue health and better well-being.